Movie titles will be announced closer to the date. INVITES YOU TO HELP SUPPORT OUR SCHOOL! Sacred Heart School is a team effort from all of its parts…students and teachers, parents and staff, clergy and parishioners. But there are two areas where parental involvement is crucial. We are guided by the policies set by the Catholic Independent Schools of the Diocese of Prince George. Our School Council is responsible for implementing these policies, and for any other policy decisions that need to be made at a local level. Members of the Council are drawn from dedicated Catholic parents, who work with our Principal and Pastor to achieve a school that is spiritually, academically and financially sound. The Parent Support Group has a very important function of Sacred Heart School Council. Every parent, grandparent, or guardian of a child attending Sacred Heart School is a member of this group. We strongly encourage you to become involved in all PSG projects – from movie nights to hot lunches. Our school and our children benefit from all this hard work in ways too numerous to mention. Sacred Heart School has a very active Parent Support Group. 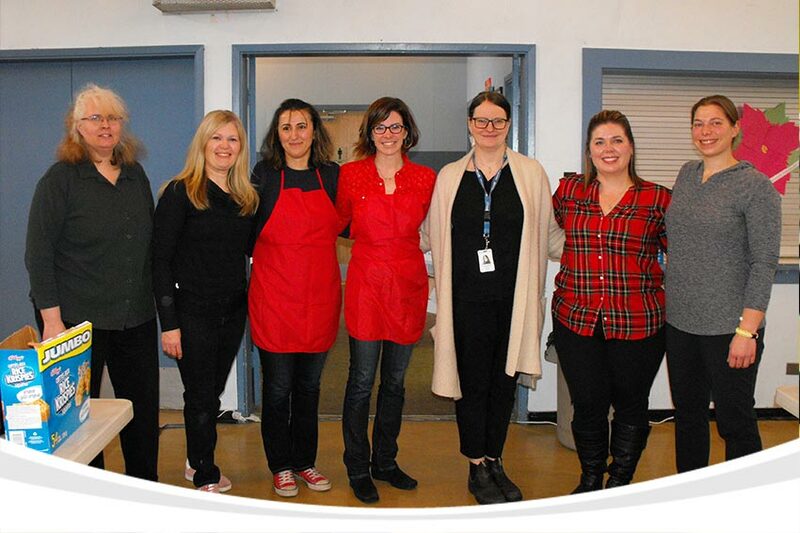 They organize family group events, provide a hot lunch program and fundraising events. Parent Support Group Funds go toward various expenses at the school, including field trips, computer equipment, school art supplies, etc.